The official guide to Dr. David Perlmutter's revolutionary approach to vibrant health as described in his New York Times bestsellers Grain Brain, The Grain Brain Cookbook, and Brain Maker. 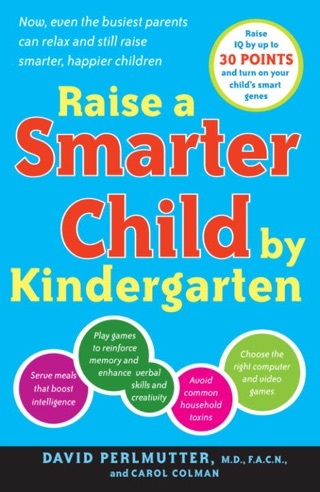 With more than a million copies sold worldwide, Dr. Perlmutter's books have changed many lives. Now, he's created a practical, comprehensive program that lowers the risk for brain ailments while yielding other benefits, such as weight loss, relief from chronic conditions, and total body rejuvenation. 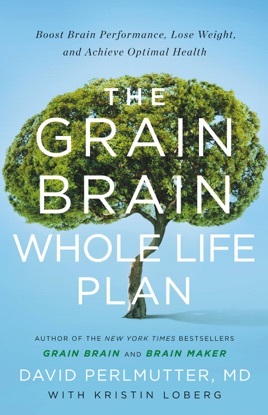 Science-based and highly accessible, THE GRAIN BRAIN WHOLE LIFE PLAN expands upon the core advice from Dr. Perlmutter's previous works, and introduces new information about the advantages of eating more fat, fewer carbs, and nurturing the microbiome. Including original recipes, tips and tricks for common challenges, meal plans, and advice on everything from sleep hygiene to stress management, exercise, supplements, and more, THE GRAIN BRAIN WHOLE LIFE PLAN shows how to live happily and healthily ever after.